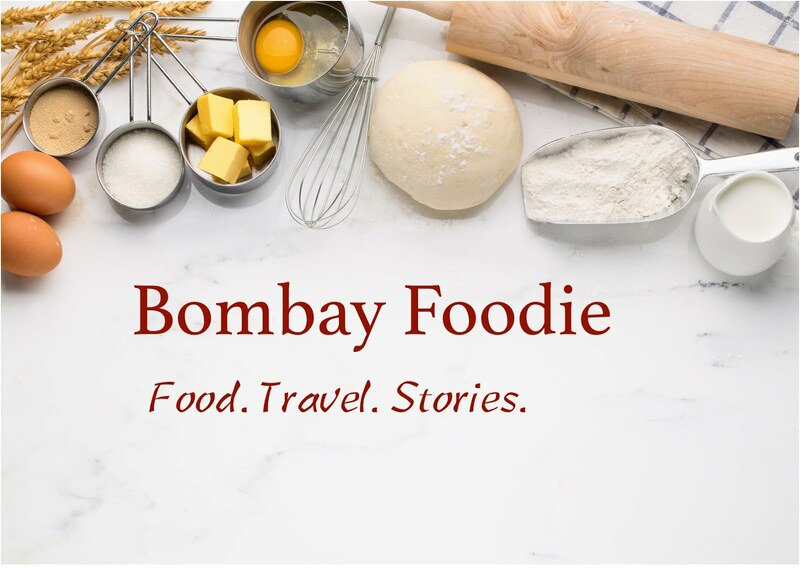 My cook is originally from Mumbai, which means that she knows more about the Maharashtrian cuisine than I ever aspire to. Usal is one of her specials. But because I don't know how to break open and grate a coconut, and she hasn't volunteered either, this is not something we make often. Every few weeks, when I manage to get hold of some grated coconut in the supermarket, it's usal time. Buy bean sprouts or make your own. For a cup of sprouts, you need 2 cloves of chopped garlic, a small onion chopped finely and 1/3 cup grated coconut. Parboil the sprouts. Heat a tsp of oil in a pan, add garlic and stir till lightly browned. Add the onions and stir fry on a low heat till softened. Add 1/2 tsp turmeric powder and 1/2 tsp of cumin-corainder powder (sold as such in Mumbai, but you can make your own with half of each). Now add the sprouts, coconut and salt to taste. Stir, add a little water (very little, just a tbsp or so) and cover the pan. Let cook on a low heat for a few minutes for the sprouts to absorb flavors. I eat this with roti, but it's a great snack in itself with some lemon juice. Oh! and I still have half that coconut stowed away. There's another treat in the offing, soon. In the meantime, usal goes to Weekend Wokking, being hosted by Kits Chow this month. Usal's a huge favorite around my home. You've given me a craving to make some soon! BTW, I usually get the guy who sells the coconut to remove all the husk from the coconut before he gives it to me - most of them do that. And then after coming home, when you want to use it, just give it a few sharp blows with a hammer holding it in the palm of your hand. Cracks open perfectly. 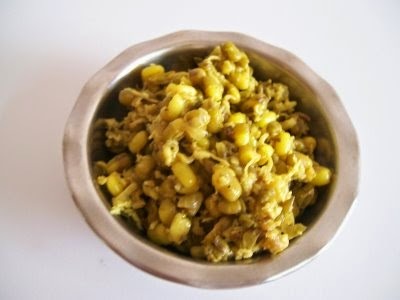 Have never tried usal, but seems very good and healthy, will surely make this. What a simple and fabulous recipe. I love sprouts and coconut.